BitTorrent Labs has released BitTorrent Sync. It’s a secure way to sync files across multiple devices. 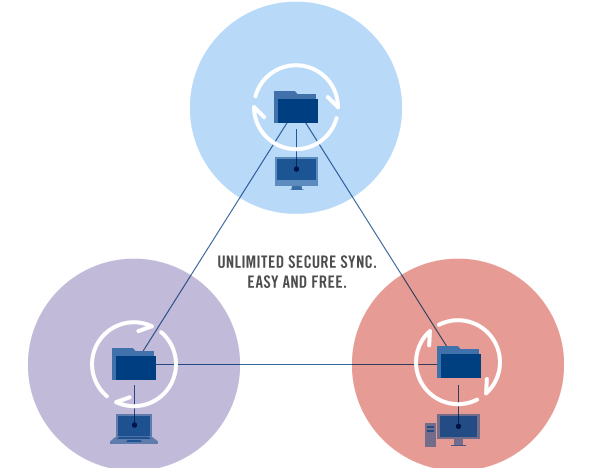 A major Dropbox alternative, BitTorrent Sync encrypts everything. This allows you to limit access only to people with whom you share your private secret. There are 3 types of secrets: master (full access) secret, read only Secret for one-way sync and one-time secrets (both full access and read-only). Read only and one-time secrets may be generated only for folders operated bymaster secrets. If you are concerned about security, BitTorrent Sync provides opportunity to regularly generate new Secrets for a folder, or replace an existing secret with your own Base64 string more than 40 characters long. The new folder Secret should be re-entered on all the devices in sync. For increased security, Sync now has the option to let the secret key expire after a day. This disables new devices to be added, preventing outsiders with your secret key from having access to your files. Having different versions of a file is no problem. as soon as changes are saved, it is synced to other devices. This is done using only the latest version of a file. Actual versioning is not available yet though. Changes to a shared folder are synced immediately. Next to being secure, BitTorrent Sync is specifically designed to handle big files: no more need to compress those large raw files you have into zips or other compressed files. You can find the BitTorrent Sync user guide here. One advantage of BitTorrent Sycn compared to Dropbox and other cloud hosting options is that you are not dependant on a central server. Everything will sync just fine regardless of a central hosting system. Be sure to check out the getting started walkthrough here. More on the technology behind the new software can be found here on the BitTorrent Labs page.